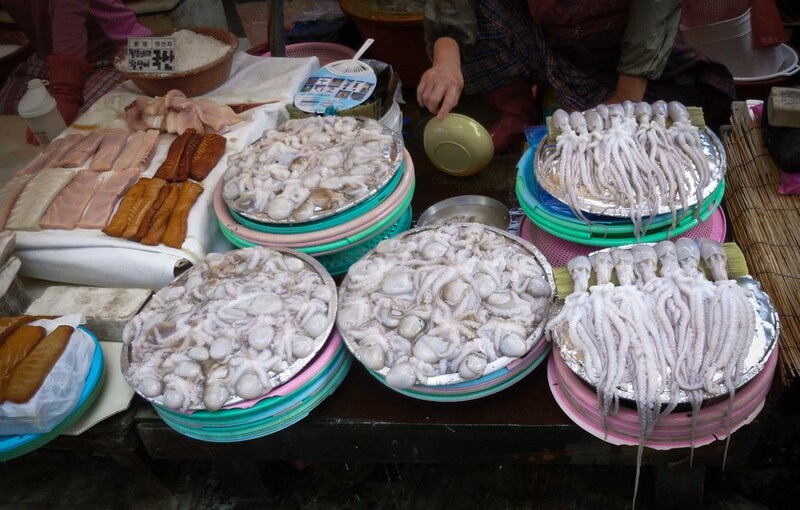 I love walking through farmer and fish markets in Korea. 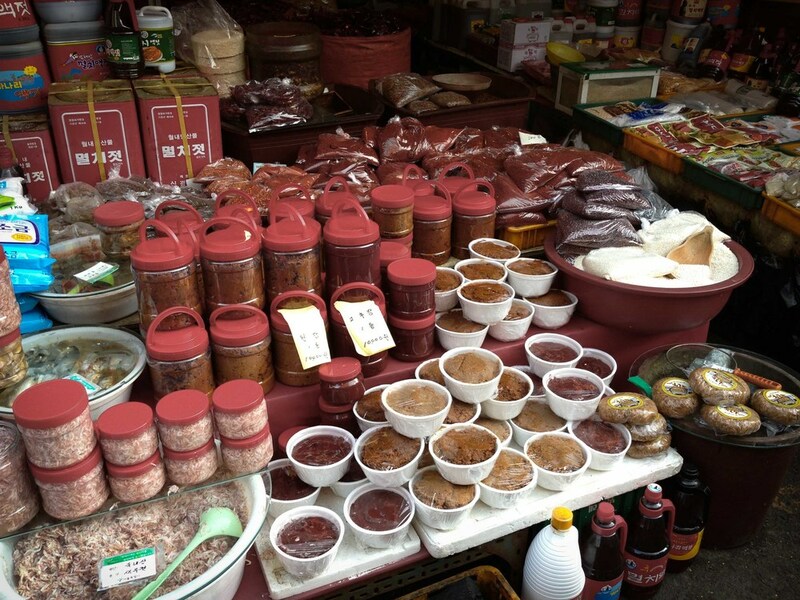 For a stretch of two or three blocks, vendors display the day's seasonal offerings -- fresh, dried, fried formats, and all varieties in between. 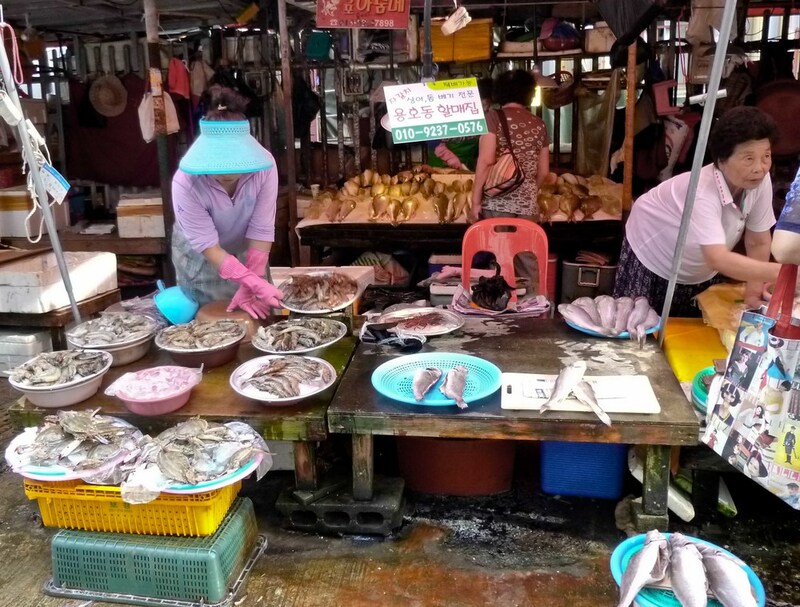 Fish markets are usually found near a port or docking area, where stout ladies in long-brimmed visors and mismatched clothes purchase the freshest catches right off the boats returning from sea. Auction winners transport their wares back to the noisy vendor stalls. 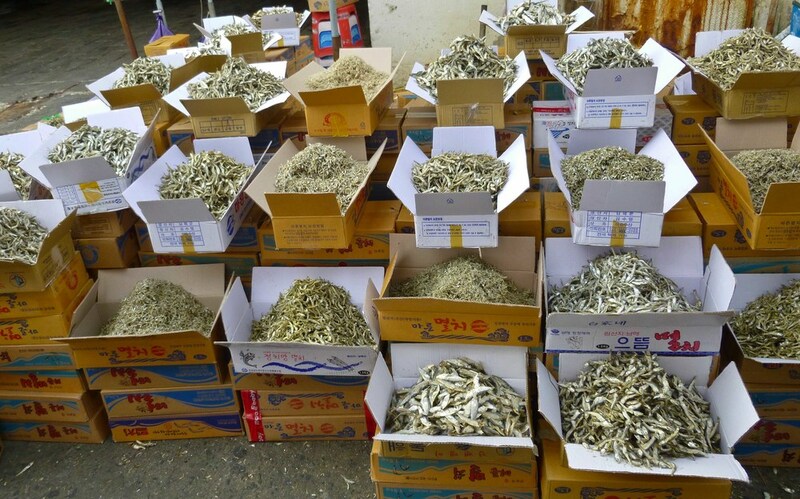 In addition to fish and all manner of seafood, the fish market sells leafy greens, bunches of onions and garlic, sprouts and a host of other ingredients for soups, stews, and wraps. 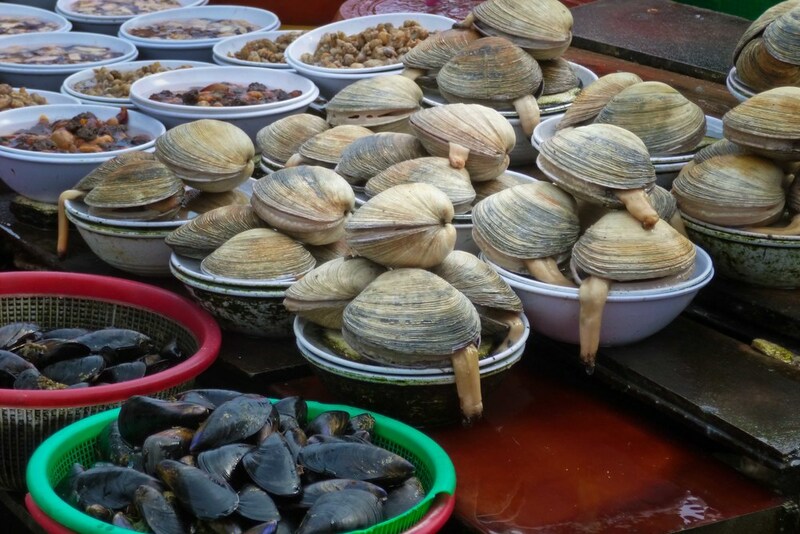 At many shops, you can select a fish (or eel, loach, clams, etc.) and then ask the shop owner to cook it for you right there. It's hard to see, but behind many of the stalls are small, low tables for customers to eat and drink what they have just purchased. It doesn't get much fresher! Farmer markets in the city are a fascinating agglomeration of vendors selling produce, meat, fish, condiments, prepared food, pots and pans, clothing and shoes, household items, and much more. The products here are much cheaper than in a supermarket like E-Mart or Lotte. Of course, you have to get over the idea of city grime and dust settling on the open food displays. There is not much that is pre-wrapped or individually packaged here. I have not heard any stories of people dying from food poisoning after consuming wares from a farmers' market, so I'm assuming it's safe enough.